Our homes and lifestyles are rapidly transforming. 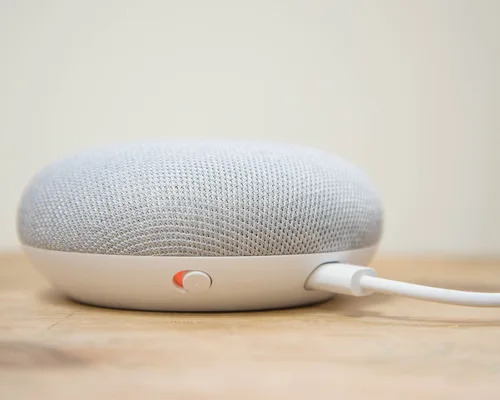 Now with Home Mini on the market – a smaller more affordable version of Google Home – more and more homes will be functioning with a virtual assistant for their daily tasks. Home Mini is a voice-controlled speaker that will play music and videos, control smart gadgets, create calendar events and even add things to your shopping list! The future is here! Why buy a Home Mini? Ever find yourself with a to do list longer than the number of hours in the day? With our busy lifestyles, what’s not to love about the idea of an AI assistant for your home or office? All you need to do is ask and your Home Mini will take care of your virtual tasks for you! How will this kind of technology impact the future of your company’s SEO? The rise of AI our homes will lead to some big changes in SEO, which will impact your company’s digital presence in a number of ways. With AI such as Siri, Alexa and Google Assistant, more and more online searches will be made using keywords and phrases used in direct speech. With the rise of voice searches, keyword phrases or long tail keywords will become increasingly popular, so it’ll be important to make the copy in your content and posts more conversational. Up to 50% of searches will be made by voice, so new search terms might include incomplete sentences and maybe even words like “thingy” “whatcha-ma-call-it” and “stuff”! Why is it important to be aware of these changes? With this new intelligent technology, Google will be switching its primary indexing to Mobile based. As more people start to search online using their voice as the most common method, there will be more demands of AI to be able to follow up with detailed tasks. These virtual assistants will be booking movie tickets and other events, diner reservations and travel amongst other things. And where do you think all these devices will be looking for their chosen service providers? The number 1 ranking on Google’s first page of course! The rise of the virtual assistant will make digital marketing more competitive than ever as these devices will be completely reliant on successful SEO strategy. It’s important to start taking these changes into consideration now, so you can stay ahead of the game and win business for your company in the future. Don’t panic! Digital Presence Solutions are Australia’s leading SEO experts so we can take care of your SEO strategy for you! We’re always on top of the latest trends and providing powerful solutions to enable our clients to succeed online. Give us a call to discuss how we can help you take your online presence to the next level today +61 2 8973 7488.